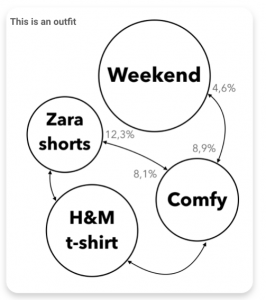 Chicisimo for Apple Watch is a super fast way to plan outfit ideas, when you are in front of your wardrobe. What you read above is actual feedback we get from women, about the iPhone app. 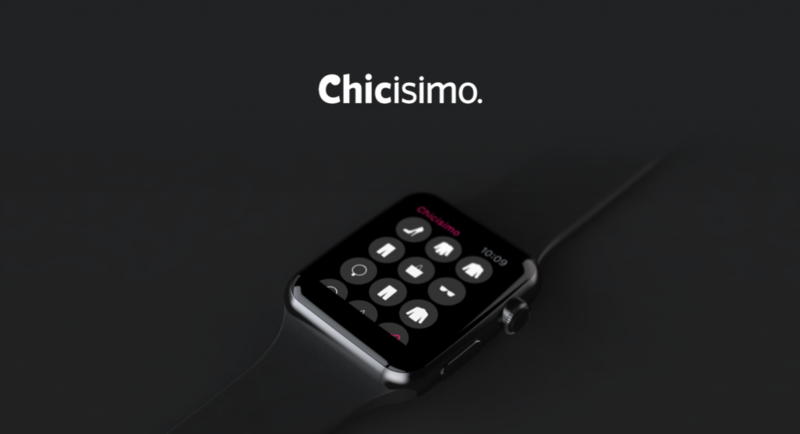 We are now launching Chicisimo for Apple Watch! Imagine yourself thinking you have nothing to wear, even though you have tons of clothes right in front of you. How to combine my yellow sweater? How should I wear my black pants today? With just two taps, you can select an item (a sweater for example) and then a color (yellow), and Chicisimo will pick several ideas for the clothes in front of you. You can combine different colors and clothing items such as pants, skirts, dresses, shirts, heels or more, and receive ready-to-wear ideas for that special outfit for today! This is exactly where we are heading. And while Chicisimo for iPhone gives you, in general, outfit ideas to plan what to wear, Chicisimo for Apple Watch helps you when you are in front of your wardrobe.